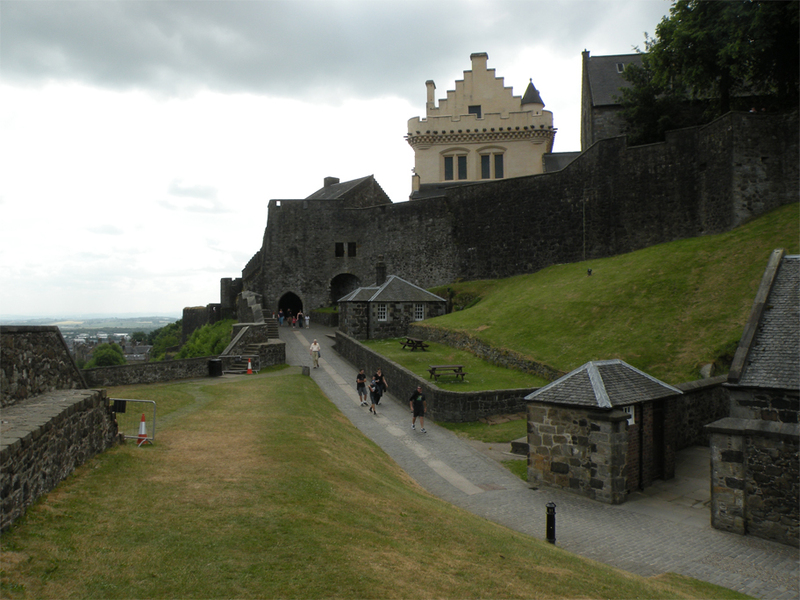 In Search of William Wallace – Stirling, Scotland. After two days of exploring Edinburgh, I was ready to seek some form of relief from the tourist hordes. 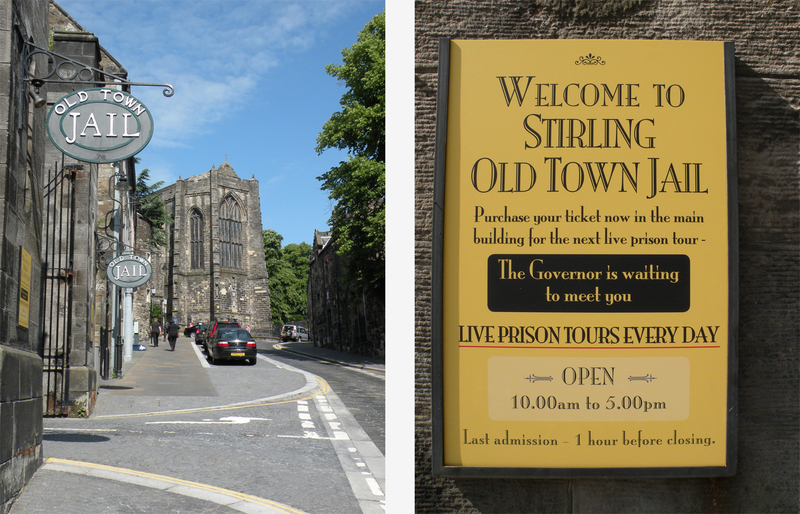 So we jumped aboard a train bound for Stirling, a small historic city just 50-55 minutes away. 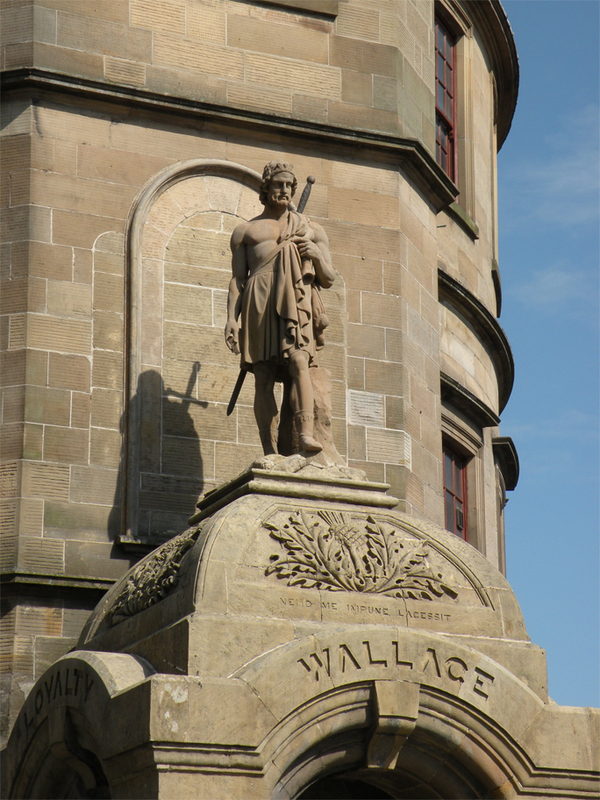 Strategically located at the highest navigable point of the Forth, the town is perhaps most famous for its association with William Wallace, that legendary national hero who fought against the aggressive expansion of the English. 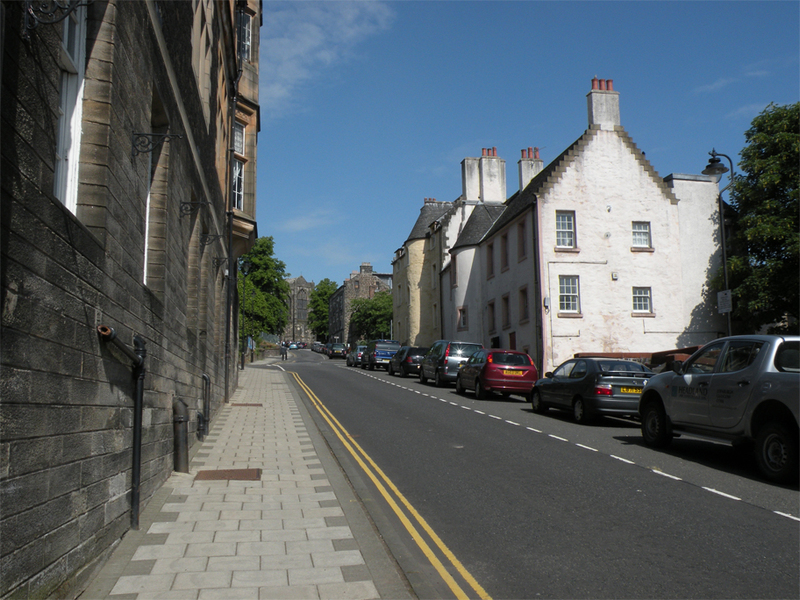 Clustered around a castle and an old medieval core, Stirling is a rather peaceful town that belies a more turbulent past. 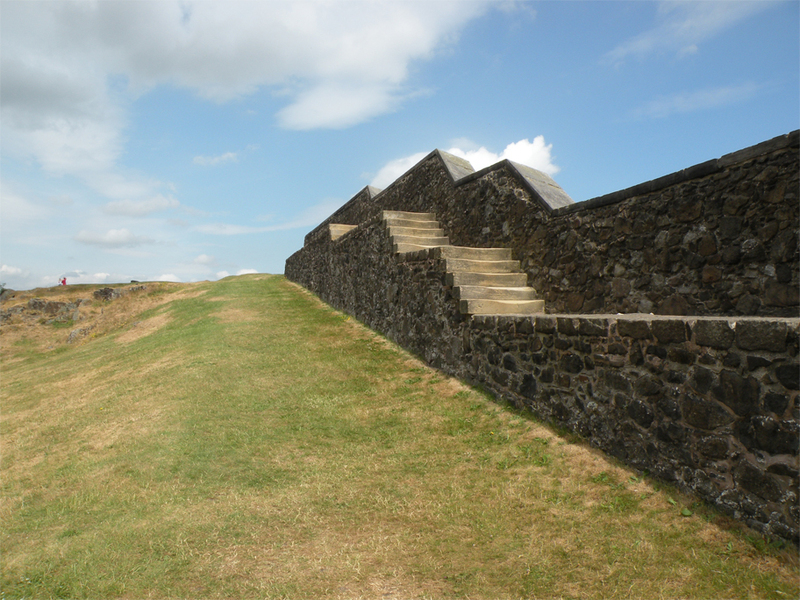 This place was deeply contested throughout history because of its key position holding the pass to the Highlands. 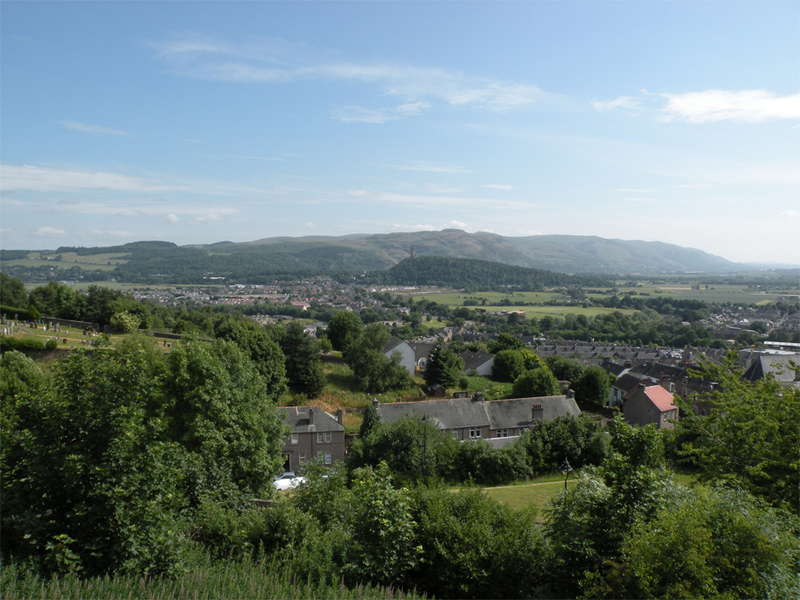 No less than seven battlefields can be seen from the castle ramparts, including those at Stirling Bridge (1297) and the nearby village of Bannockburn (1314), two decisive victories in the Wars of Scottish Independence. 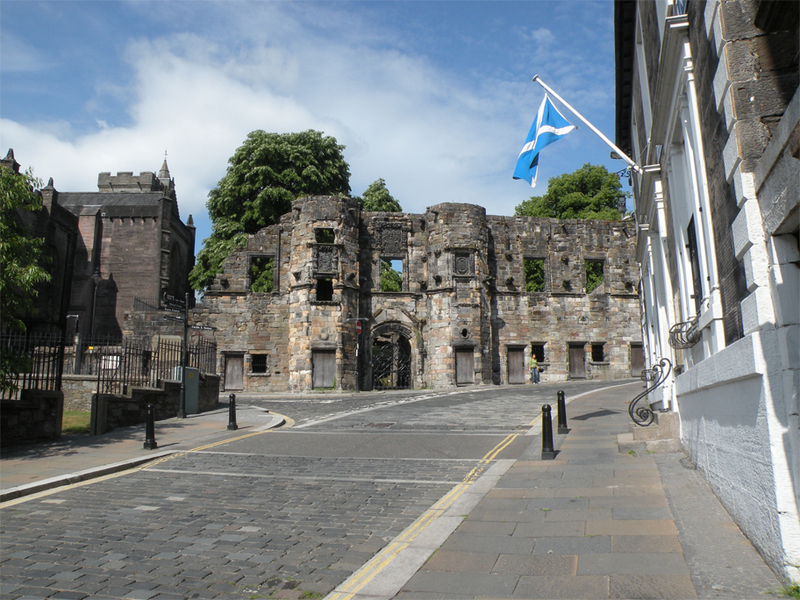 On the main route up to the castle it’s impossible to miss the commemorative statue of William Wallace, replete with an oak wreath and the word “loyalty” emblazoned on one side. About 5-10 minutes up the road is the Church of the Holy Rude, which is well worth a look. 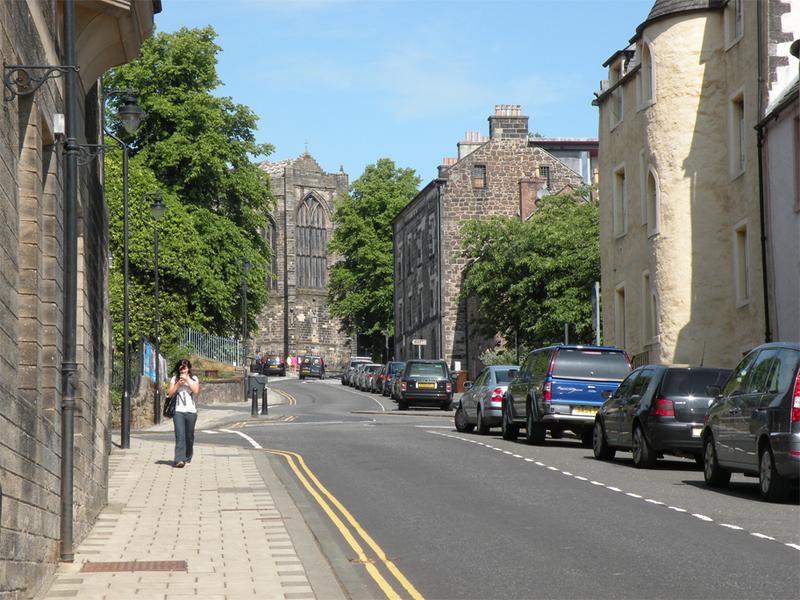 Founded as the parish church of Stirling in 1129, the current structure dates from the period between 1414 and 1530, when it was rebuilt after a devastating fire. 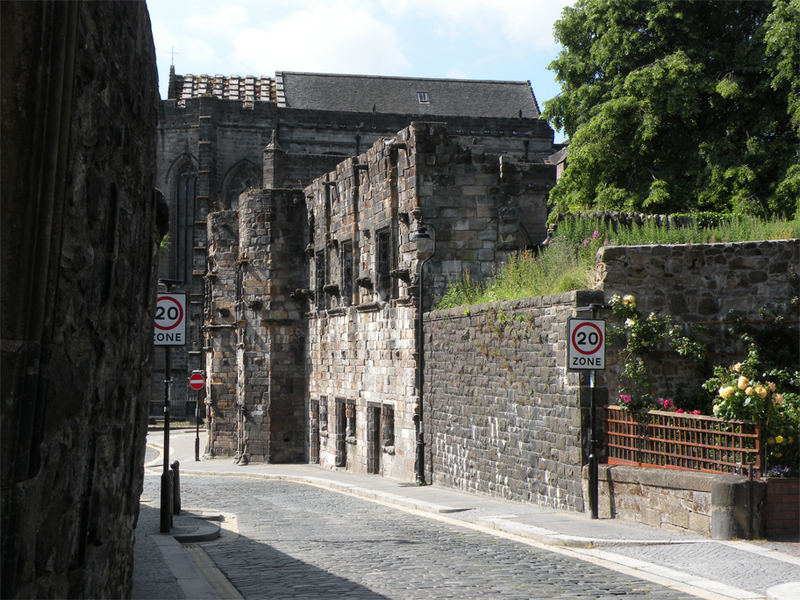 King James VI, the future King James I of England, was crowned here on 29 July 1567 at the age of just thirteen months. Apart from Westminster Abbey, this is the only church in Britain used for coronations that still operates to this day. Just next door is a ruined sixteenth century town house known as Mar’s Wark. 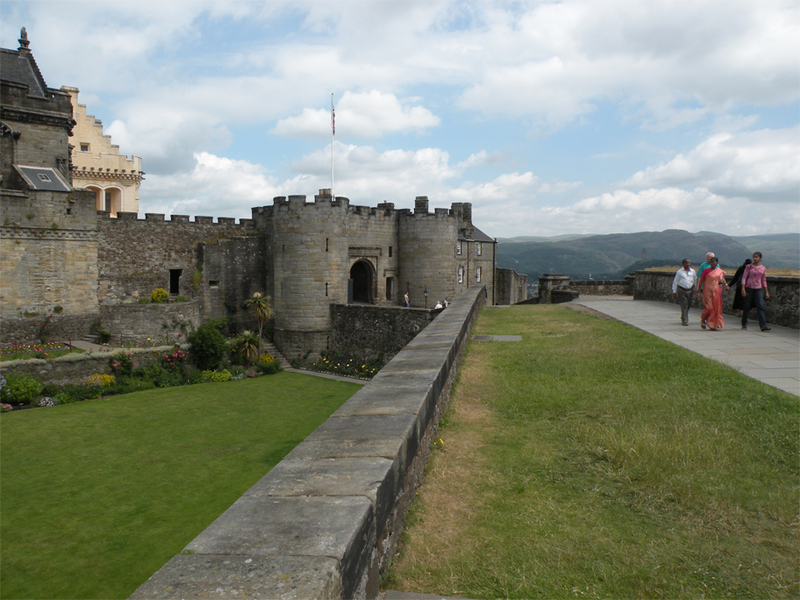 Commissioned by the powerful Earl of Mar, the governor of the castle, the structure would have been a grand renaissance building in its heyday. 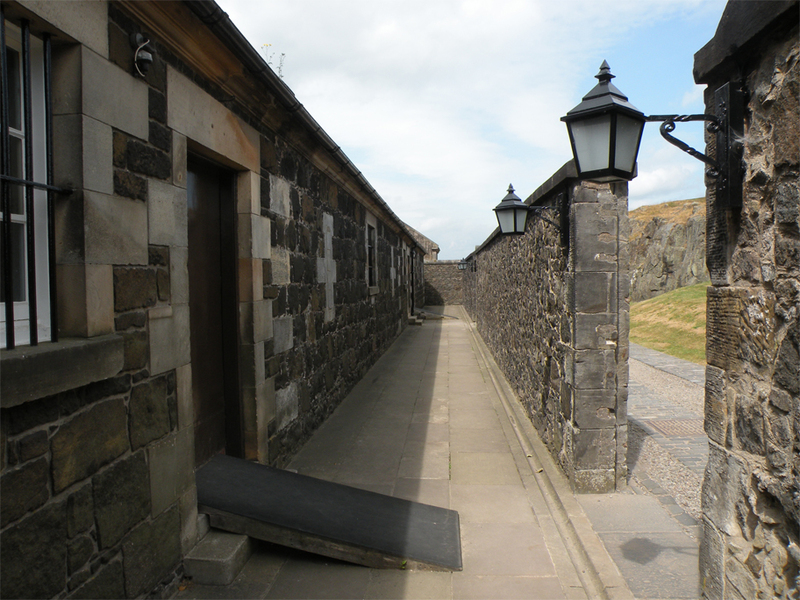 In later years it was converted into a barracks, only to fall into ruin after sustaining damage during the Jacobite Rising of 1745. 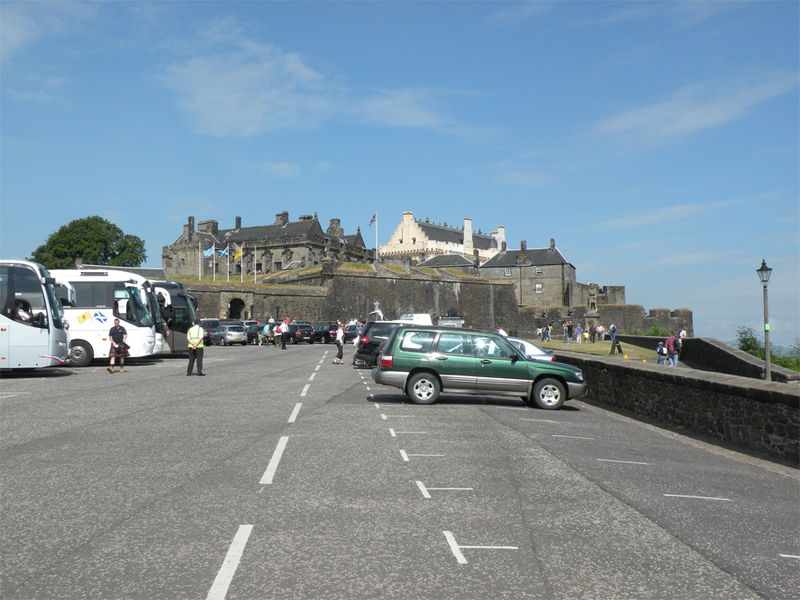 Despite the number of coaches lined up outside its gates, Stirling Castle is a less touristed alternative to the one at Edinburgh. 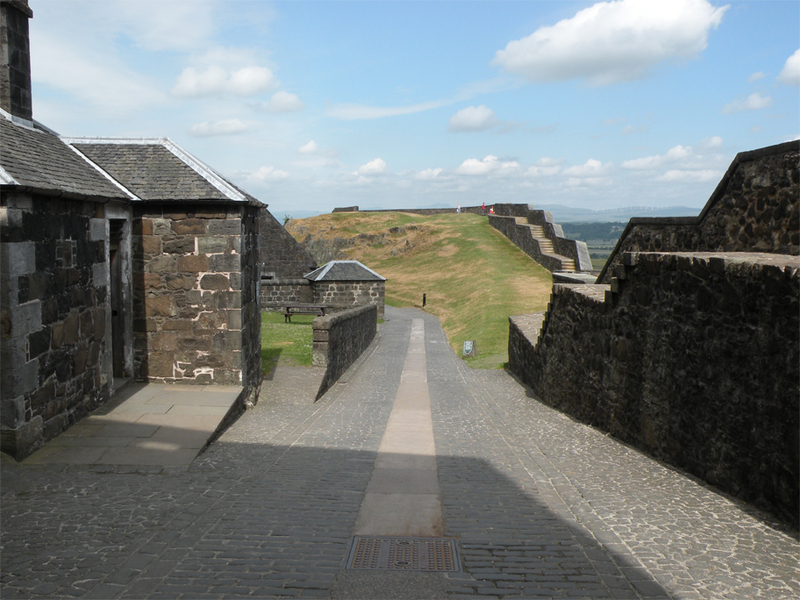 Comprised of a collection of mainly 15th and 16th century buildings, Stirling was a favoured residence of Scottish monarchs. 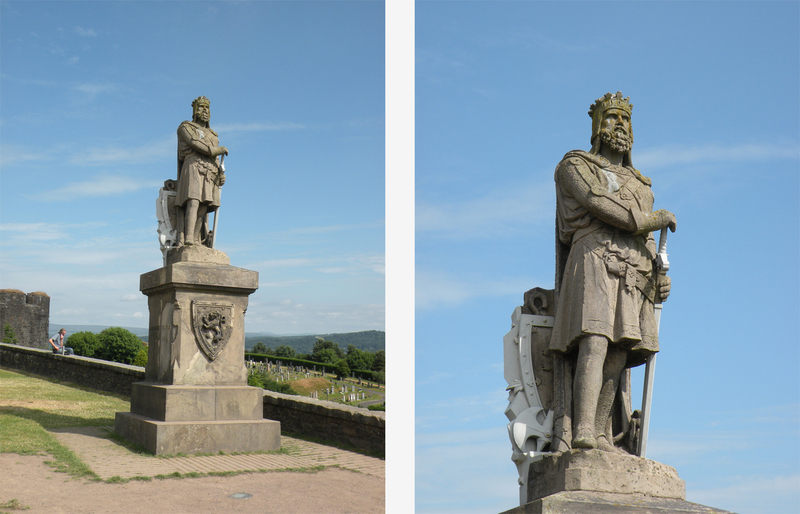 On the esplanade a statue shows Robert the Bruce sheathing his sword in the aftermath of the Battle of Bannockburn. His victory helped to secure full English recognition of Scottish independence in the years to come. 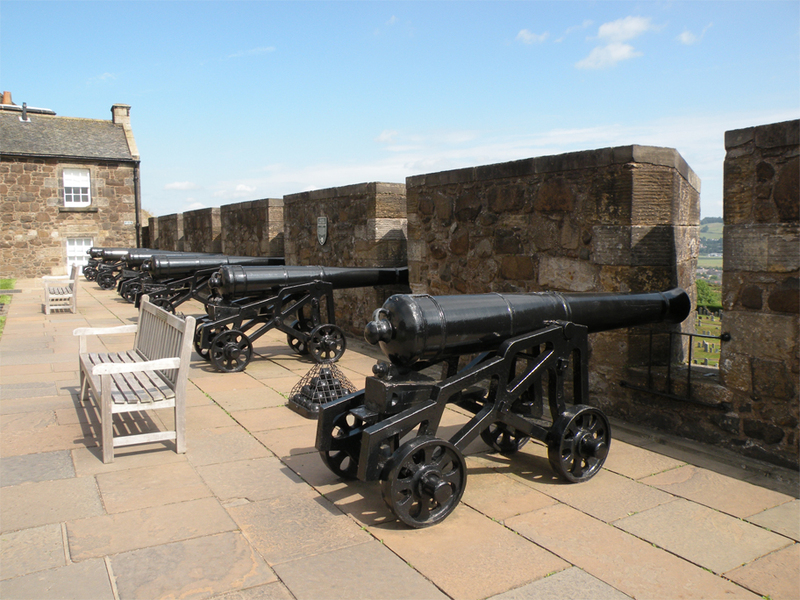 Without a doubt, one of the highlights of Stirling Castle is the view from its battlements. 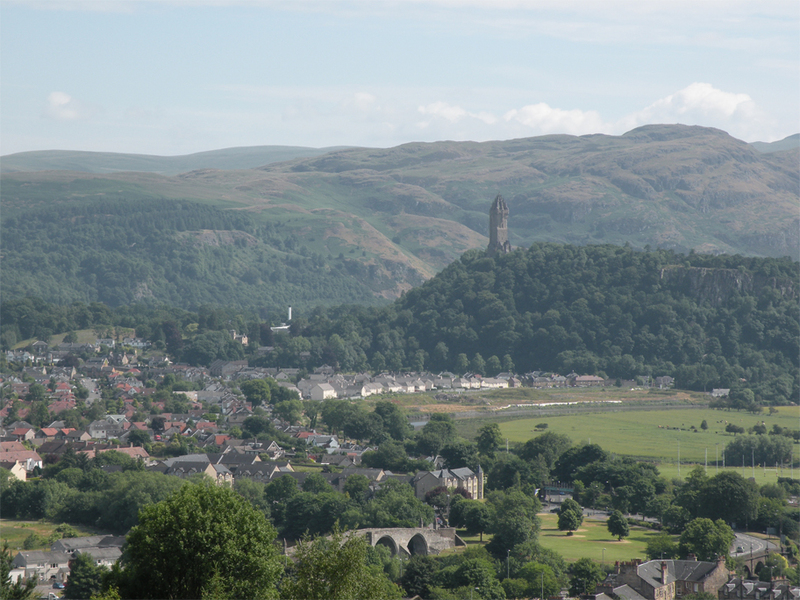 Against a backdrop of rugged mountain scenery, it’s easy to pick out the Wallace Monument on a nearby hill. The Victorian tower commemorates the Battle of Stirling Bridge in 1297, when Wallace brought a resounding defeat to the superior English forces. 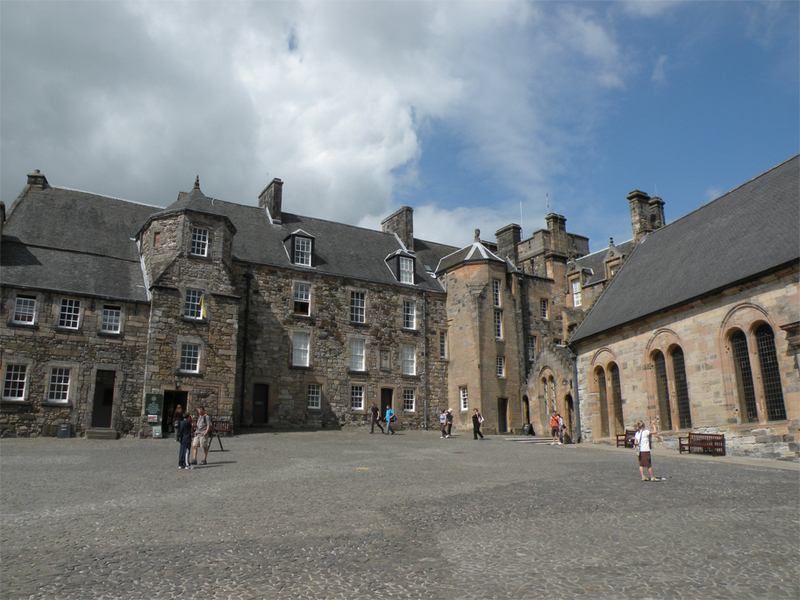 Once inside the main castle compound, the scene is dominated by the thick limewashed walls of the Great Hall. 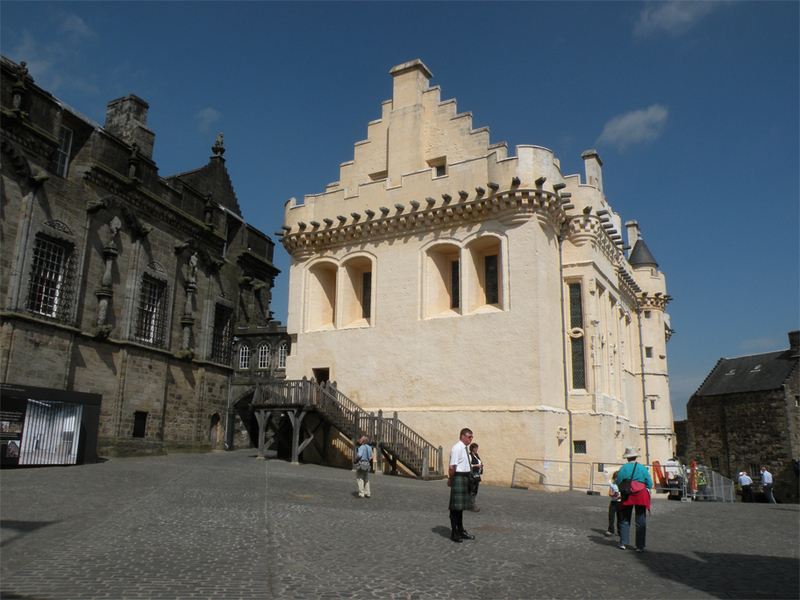 When it was built in 1500 it became Scotland’s first example of Renaissance-influenced royal architecture, as well as the largest great hall in the country. 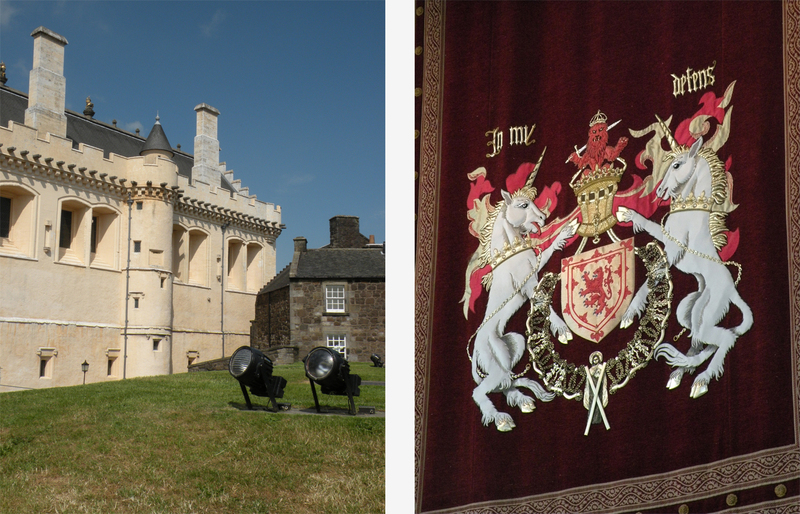 Between 1881 and 1964, the castle was used by the Argyll and Sutherland Highlanders as a recruiting depot. 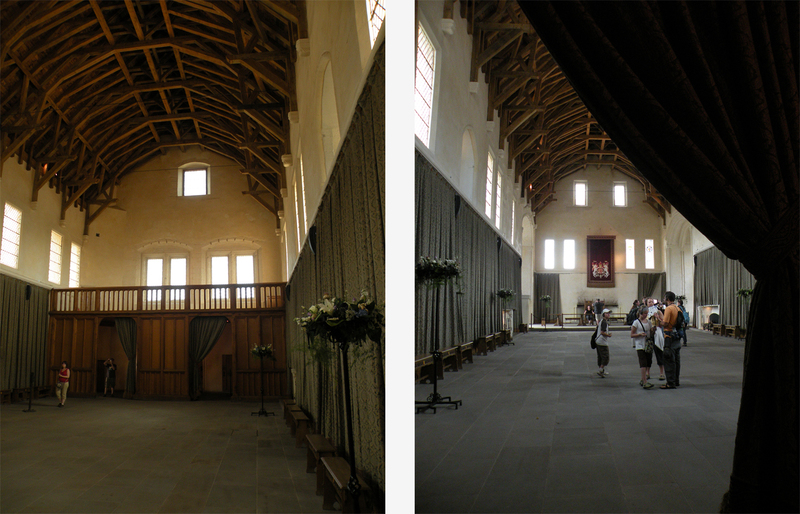 During this time the hall was converted into barracks and the building lost many of its original features, including its windows and the oak hammerbeam roof. It was only in 1999 that large-scale restoration work was completed. 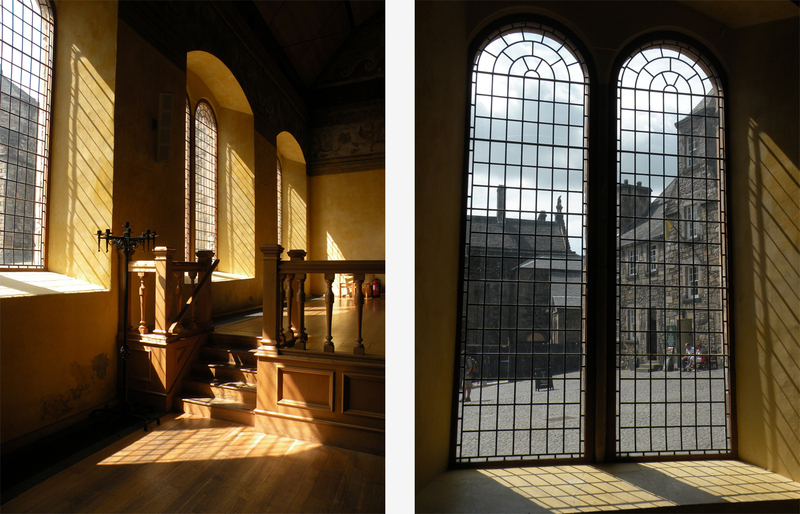 Adjacent to the Great Hall is the Chapel Royal, which was first established in 1501. It was here that Mary, Queen of Scots was crowned in 1543. Eventually rebuilt in 1594, the present-day chapel has a decidedly French flavour. With its frescoed walls and hanging tapestries, it bears the hallmarks of a royal building on the Continent. Perhaps it should come as no surprise given Scotland’s status as a historical French ally; the two countries forged the ‘Auld Alliance’ against England from 1295 until 1560. Unfortunately for us, the royal palace was closed for restoration work so we visited the Great Kitchens instead. Inside you’ll find a fascinating array of food being prepared – all in the style of a sixteenth century banquet. The wax mock-ups are so comprehensive that there’s even a cat stealing fish from the table. Nearby, the rocky battlements of the nether bailey present a vision of what Edinburgh Castle may have looked like several centuries ago. Wandering between the old gunpowder stores and walking the castle perimeter, I could not help but imagine what it was like to be a soldier guarding this gateway to the Highlands. On my search for William Wallace, I had found only sparse hints on the occasional statue and historic marker. But then again so little is known about the figure that there’s plenty of room for myth-making and conjecture. Perhaps I needed to climb the monumental tower on that distant hill; maybe then I would get more answers that were not anachronistic like a Hollywood movie. But I would have to decide on that later. My stomach was rumbling and the clocks were well past one o’clock. It was time to do some haggis-hunting. ← A View from the Top – Edinburgh, Scotland.